She pursues her PhD at the Faculty of Social Sciences, Charles University, where she lectures on Chinese foreign policy, geopolitics and security in Northeast Asia. Ivana holds a double B.A. in Mass Communication and Journalism and International Relations and European Studies from Masaryk University and an M.A. degree in International Relations from Charles University, Czech Republic. She spent several years on research and study stays in China (Fudan University, East China Normal University) and Taiwan (Tamkang University, Chengchi University). She was a Fulbright scholar at the Weatherhead East Asia Institute at Columbia University in New York. Ivana contributed to and supervised a number of grants from Ministry of Foreign Affairs, Czech Republic, co-authored a book on Sino-Russian relations, authored a number of book chapters, and has published on China affairs in Czech and foreign media. 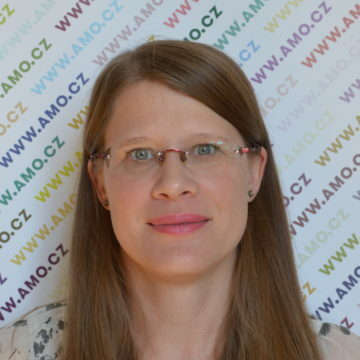 She also designed and coordinated AMO Lectures for Young Asia Scholars (ALYAS), a unique educational project for Czech professionals interested in Asia affairs. She is a founder and coordinator of international project Chinfluence – Mapping Chinese Influence in Central Europe.